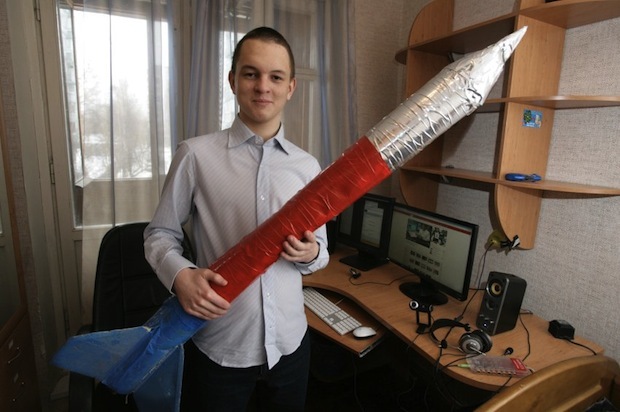 Andrey Ternovskiy, the 17-year-old creator of Chat Roulette, is now embroiled in a bidding war that pits the U.S. and Russia against each other over where the company will end up. Could it blow up like Facebook? Or fizzle like MySpace? Andrey Ternovskiy, creator of Chat Roulette, just might be sitting on the hottest Internet property since Facebook was founded five years ago. But he’s not American. He’s Russian. And that’s putting him smack in the middle of some powerful forces. On the one hand, Russia investors backed by the Prime Minister himself are egging him to stay. But the freedom and riches of America might just draw him away. but the teenager simply strings the entrepreneur along. then it will need to keep talents like Ternovskiy at home. think about Milner’s offer first. How much is his idea really worth? The profile has a few fascinating tidbits–Ternovskiy is busy trying to keep “freaks and fuckers” off the site. And the pictures are priceless–the fresh-faced tyke as he grins in a bedroom filled with empty bookshelves, or out in front of his grim Soviet-era housing complex. But more troubling for Milner and Russia, he’s planning on at least visiting America to hear out investors. “The Internet is my world. It connects Moscow with the West,” he says. And he’s always dreamed about owning a Silicon Valley start-up. Ternovskiy’s dreams seem to be drawing him here. While ChatRoulette may seem like a goofy gimmick for one-handed-Web-surfing pervs, there’s no reason it can’t become something mainstream. French Connection already uses it for marketing. (Why couldn’t product designers and marketers sit down for random interviews? And why shouldn’t ever fifth “next” be an ad?) Moreover, as our intrepid Dan Macsai suggests, ChatRoulette opens up a whole new world of Internet socializing. Which actually sounds a lot like Facebook, right? You could imagine all sorts of silos, from dating to random conversations, filtered by topics or interests. But Ternovskiy will need the right business partners to make sure it doesn’t suffer the fate of MySpace instead.